Hachigo, pictured, spent years working in North America, Europe and China. Editor's note: Faulty Takata airbags have been linked to at least eight fatalities in Honda vehicles. An earlier version of this story contained an outdated figure for those fatalities. TOKYO -- Honda Motor Co.’s new CEO, Takahiro Hachigo, aims to reboot the ailing automaker by rekindling development of more exciting cars, steering clear of numerical targets and maximizing use of the company’s overseas production to soak up global overcapacity. Speaking today in his first news conference since taking office last month, Hachigo also said Honda will be more open to alliances and joint ventures with rival carmakers in the pursuit of cost sharing and next-generation technologies. Hachigo inherits a company in recovery mode from outgoing CEO Takanobu Ito, who stepped down to be an advisor following a rash of quality problems and a derailed global sales drive to reach the 6 million units, which critics called overly ambitious. Last month, Honda restated its earnings to notch a 19 percent drop in operating profit for the fiscal year ended March 31, 2015. Honda took the hit after booking bigger than expected quality costs to handle expanding recalls of Takata airbags. A veteran product-development engineer with extensive overseas experience, Hachigo, 56, said his years spent working in regions such as North America, Europe and China gives him unique understanding of Honda’s needs in key growth markets. Marshaling those resources and making more efficient use of its overseas plants will be key to Honda’s recovery, he said. Under Ito’s initiative, Honda rapidly expanded international production capacity under a plan to create six regional assembly and product-development hubs -- even as sales failed to keep up. “As a result, on a global basis, we’ve come to hold excessive production capacity, with impact on our profitability as well,” Hachigo said. That means Honda will increasingly use production sites outside Japan as global export hubs, he said. For example, Honda will ship the five-door Honda Civic hatchback and high performance Civic Type R from its assembly plant in England to global markets. It will also ship the CR-V crossover to new markets from its plant in Canada. Finally, instead of sourcing the European-spec Jazz compact locally, those cars will come from Japan. Honda, the first Japanese carmaker to build vehicles in the United States, now makes 81 percent of its vehicles outside Japan. In the first five months, Honda’s exports from Japan plunged 27 percent to just 9,620 vehicles. North America alone accounts for 40 percent of its global sales. Ito, who keeps a seat on Honda’s board, led the company through a tumultuous period marked by the financial crisis, the 2011 Japanese earthquake-tsunami, a period of profit-eroding exchange rates and extended flooding that shut down Thailand operations. More recently, the company has been broadsided by the global recall of millions of vehicles to replace faulty Takata airbags that have been linked to at least eight deaths. And a string of embarrassing recalls in Japan forced Ito to delay several product launches and overhaul its r&d strategy. Hachigo said the company would spend more time on r&d to develop better products more attuned to market trends. The guiding principle, he said, would be products that deploy innovative technology that has yet to be marketed. He cited the S660 mini sports roadster, sold only in Japan, and the Honda’s commuter Jet business as examples of new spirit. Also on tap: A new Civic small car arriving this autumn that will get a new platform and downsized turbocharged engine. Those technologies will be deployed to other nameplates, Hachigo said. Ito’s departure came with many of his reforms just underway, and Hachigo has pledged to continue much of the strategy. Ito’s retooling of the r&d division, for example, to slow development, add extra quality checks and reduce the onerous workload, was announced just last year. Meanwhile, the plan to delegate power and responsibility to six global hubs for local production and r&d is also still a work in progress. Hachigo joined Honda in 1982, beginning his career in its automobile r&d unit as a chassis design engineer. In contrast to Ito, who logged just two years overseas at Honda’s Ohio r&d center, Hachigo is a veritable globetrotter. Hachigo has served stints on three continents. And until he was called back this year to president, the veteran engineer had been working overseas since 2012, most recently in China. Hachigo played a key role in Ito's single-biggest initiative: a still-unfinished realignment of Honda's global operations around six regional hubs, each wielding its own r&d and production power. 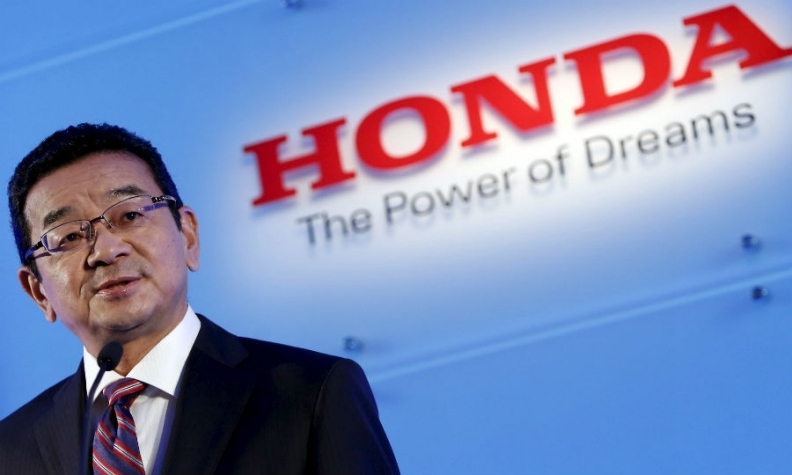 Hachigo helped set up those regional centers as president of Honda's European r&d operation in 2012 and then as head of purchasing, production and development in China from 2013.